BBC World Service - People Fixing the World, Can phages save us as antibiotics stop working? Can phages save us as antibiotics stop working? How phages – viruses that kill bacteria – are saving lives. Tens of thousands of people die every year because bacterial infections are becoming resistant to antibiotics. That number is expected to explode, as more antibiotics stop working, making antimicrobial resistance, or AMR, one of the gravest health threats facing humanity. But could viruses come to the rescue? 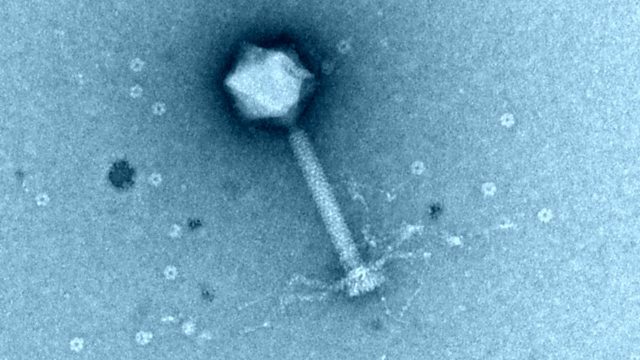 Bacteriophages, or phages for short, are viruses that infect and kill bacteria. They were discovered 100 years ago and have been used to treat infections for decades in Georgia. But despite their abundance in nature and proven ability to kill infections, their potential has not yet been realised outside the former Soviet Union and Eastern Europe. Steffanie Strathdee, who stumbled across phages as she tried to save her husband’s life, is now leading a campaign to put phages on the map. But can their use be scaled up from individual and costly treatments to a fully-operational weapon in the war against AMR?